Since my college days I have been interested in the 'Depiction of Movement in Art' - I wrote my thesis on this subject for my National Diploma in Design. 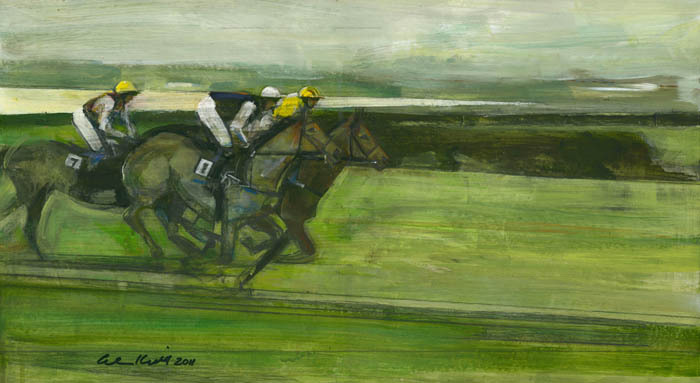 This painting results from a day at the Point-to-Point races at Little Kimble near Aylesbury. Size: 593 x 324 mm.